Climate change, global warming, offshore drilling, plastics clogging our oceans, toxic dump sites, deadly fertilizers and pesticides and dangerous genetically modified seeds, fish dead zones from agricultural manure, mining in our parklands — there are so many threats to our environment and to the beautiful animals who share the Earth with us. I walk along the beaches and in the parks to photograph the birds and other critters. The threats to them are real, and the reason I get so angry at the idiots in our government who have taken over and are trying to destroy our planet. Much of this Web site is dedicated to videos and photos of feathered and furry friends. Here are some of the most recent reasons we should care. All three of these animals were filmed on Staten Island. The residents I have met there are fighting fearlessly to protect the habitat of these magnificent creatures. 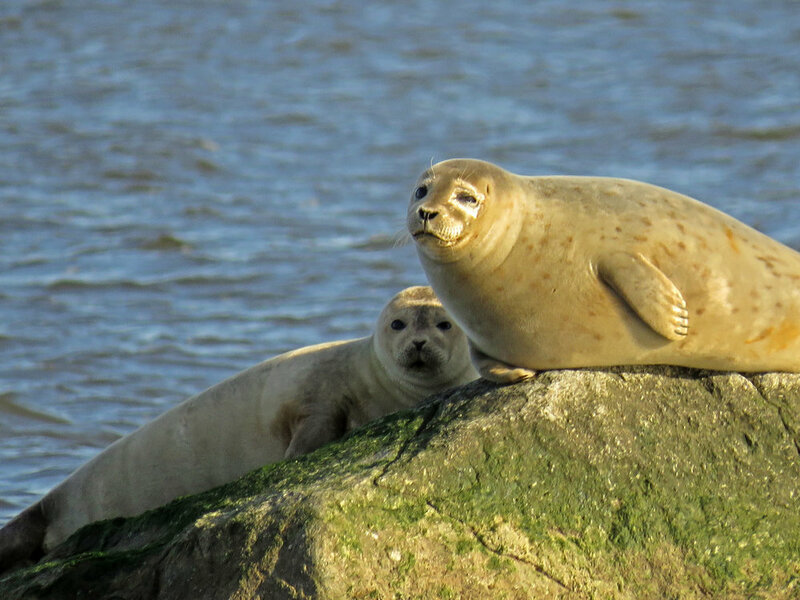 Harbor seals (Phoca vitulina) like to "haul out," or rest, on rocks offshore of Staten Island. I saw them hanging out near the beach at Mount Loretto Unique Area on November 8, 2017, and January 31, 2018. I set the video to music by Alexander Borodin and Johann Strauss II. Below are some photos from November 8 and January 31. 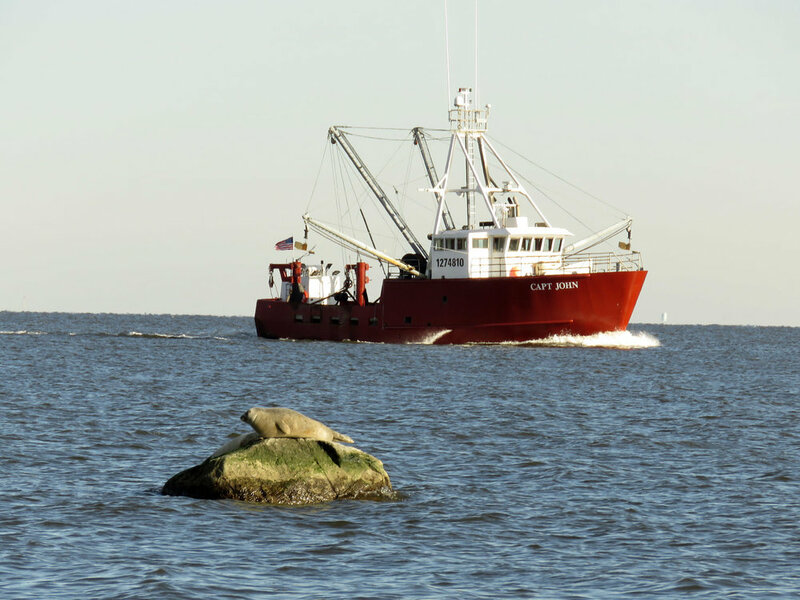 For many more, visit the harbor seals page. I am extremely fond of ducks, and, of course, my dear friend Woody Wood Duck, Prince of the Pond in Central Park, has the greatest part of my love. 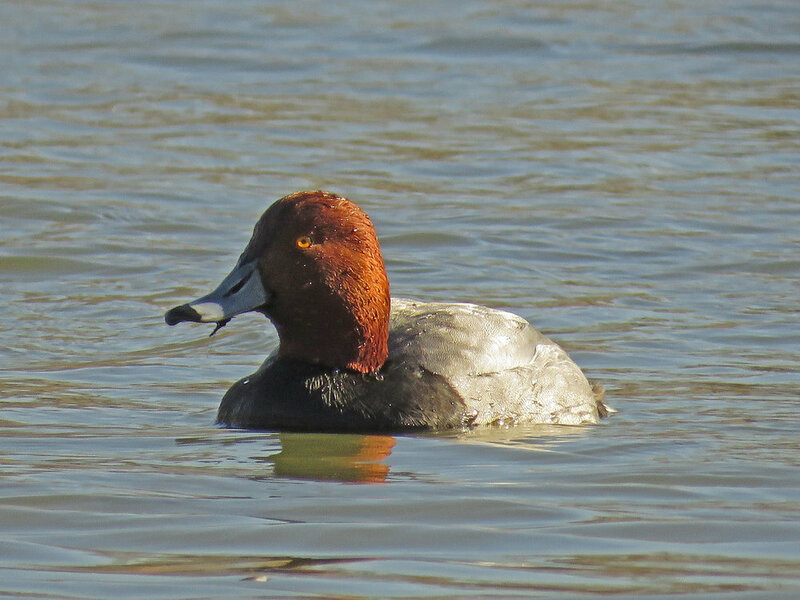 I had never seen a redhead (Aythya americana) until we visited Baisley Pond Park in Queens on January 18. Given the ginger tops, these ducks quickly won a big place in my heart. Is there a Filming the Feathers video? Of course there is! The photos below are from January 18 at Baisley Pond. For more photos, see the redheads page. To celebrate Groundhog Day, I posted a video and photos of a woodchuck we saw at Wolfe's Pond Park on Staten Island on September 18, 2017. Groundhog Day? No, Groundhog Minute! Older PostOh, Those Golden Slippers!